Visiting St. Kilda Beach and Balloon Rides will get you outdoors. Get some cultural insight at Shrine of Remembrance and Melbourne Museum. Go for a jaunt from Melbourne to Torquay to see The Great Ocean Road about 1h 40 min away. 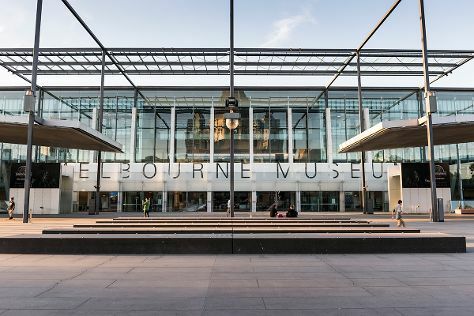 There's still lots to do: admire the natural beauty at Royal Botanic Gardens, meet the residents at Melbourne Zoo, explore the world behind art at National Gallery of Victoria, and wander the streets of Melbourne Central. Use the Route module to find travel options from your starting location to Melbourne. In June, plan for daily highs up to 16°C, and evening lows to 6°C. Wrap up your sightseeing on the 24th (Sun) to allow time to travel to Perth. Relax by the water at Cottesloe Beach and Rockingham Beach. Get some cultural insight at Tyler's Vineyard and Fig Tree Estate. Get out of town with these interesting Perth side-trips: Fremantle (Fremantle Prison & South Beach Recreation Reserve), Mullaloo Beach (in Mullaloo) and Upper Reach Winery (in Baskerville). 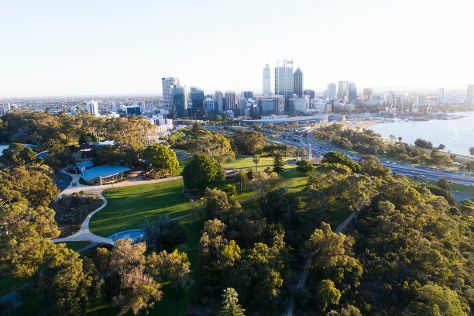 And it doesn't end there: admire the natural beauty at Kings Park & Botanic Garden, learn about winemaking at Olive Farm Wines, look for all kinds of wild species at Caversham Wildlife Park, and explore the activities along Swan River. To see photos, other places to visit, where to stay, and tourist information, go to the Perth trip itinerary planner. Traveling by flight from Melbourne to Perth takes 6.5 hours. Alternatively, you can drive; or take a train. The time zone difference when traveling from Melbourne to Perth is minus 2 hours. Traveling from Melbourne in June, you will find days in Perth are somewhat warmer (23°C), and nights are about the same (9°C). Finish up your sightseeing early on the 30th (Sat) so you can travel back home.